Market the Cloud; Don’t Cloud the Market! 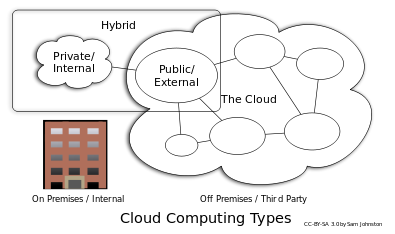 “The Cloud” is one of the principal Cs of The Marketing Id’s E=MC5 theory of connectivity, which states that a social Enterprise must support Mobility, Cloud-based Communications, Cyber-security, Collaboration & Content. While the other Cs seem to be more easily understood, there appears to be some confusion regarding “the Cloud?” The Marketing Id believes that as a branding reference, “the Cloud” probably suffers from varying perceptions of mood (gloomy) and color (gray). Most people eventually want weather clouds to clear and sunlight to stream in. So we thought it might help to let some sunlight in to what we know as “the Cloud” in the business world! Thus, a successful cloud services provider must be concerned with Committed Monthly Recurring Revenue (which is MRR minus the churn) as opposed to Total Contract Value or Annual Contract Value, both of which are often manipulated by sales to their advantage. BVP also provides a detailed discussion on their other 4Cs, which makes for a worthy read. Myth #1: Public cloud is the only true cloud. Myth #2: You’re either in the cloud or not. Myth #3: Clouds are one-size-fits-all. Myth #4: There’s no difference between virtualization and the cloud. Myth #5: Clouds only run on commodity components. Myth #6: Cloud will lock you in. Myth #7: Cloud is about pay-per-use. Myth #8: Public clouds are still not secure. Myth #9: I need multiple clouds to run my business. Myth #10: The biggest benefit of cloud computing is lower costs. Again, while each one of these myths is certainly worthy of discussion, The Marketing Id will focus on a couple while encouraging our patrons to read the original article. Myth #3: Clouds are one-size-fits-all is apparently a prevailing myth that probably has its roots in the B2C user base. Most B2C users avail of online services from Amazon to Zynga without knowing or caring that they are, in fact, cloud services. 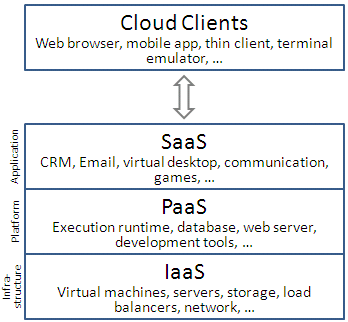 The average Joe simply sees these as a part of his regular online activities and because his experience doesn’t differ much from one cloud client to another, would probably think of any one of them as a “one-size-fits-all” service? customer owns the solution but the provider operates it. Thus, it is pretty clear that in the B2B world one size does not fit all and there is a cloud computing solution that fits the varying needs of every business from a startups to a SMB to a large enterprise. automatic updates for their hardware and software. We would like to end this lengthy post by putting the ball in the B2B cloud services marketing court. There are too many misconceptions and misrepresentations out there of what is broadly known as “the cloud.” Moving to the cloud might not be simple, but it should be as structured, staged and seamless as possible. In order for providers to get there, they should be factually marketing the cloud, not further clouding the market with myths! Goldilocks and the Social Media Bear! The War on Cyber Terror—the Future of Business Depends on the Business of the Future!